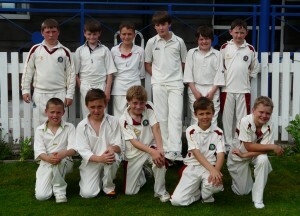 Mochdre Cricket Club under 11′s have had a fantastic season so far this year, winning ALL of their matches. Their most recent victory against Llandudno CC means they have won the Eryi League Title and qualify for the North Wales Final day on 2nd September. The team pictured above are proudly sponsored by Quinton Hazell Enterprise Parc. The team are winning cricket matches throughout North Wales and promoting QHEP, well done lads!